We are wholesale distributors of frozen seafood products. 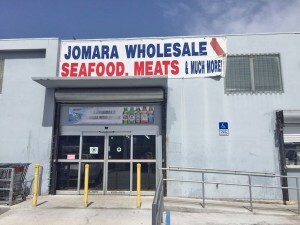 Jomara Seafood is among the largest importers and full-line distributors of quality frozen seafood in the United States. A family owned and operated business since 1987. Founded by Raul and Mario “Bob” Interian, Jomara places customer satisfaction, optimum product quality and price competitiveness as its priority. We attain these goals by consistently having a large supply network, as well as HACCP and EU compliant food safety standards. In the selection of our products, strict controls are followed to guarantee premium quality and variety. From the beginning, we have been consistently working to bring great products and great prices to our local customers. In 2010, we opened a store to the public across from our original location. We named it Jomara Wholesale. We strive to bring the same level of customer service that have characterized our business to our new store. Please visit our store. We have an incredible line of seafood products and much more. Our knowledge and experience will bring satisfaction to the most demanding customer. 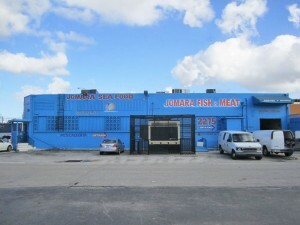 Jomara Seafood can offer the customers our own Ocean Treats brand name or many other highly recognized brands. Our experienced sales staff is available to assist you with your most specific order.